Reine Matthews was diagnosed with Lyme disease four years ago and decided to treat it naturally. Having felt and seen firsthand how taking the natural holistic route really worked and helped inspired her to share it with others so they, too, can find health and wellness inside and out. 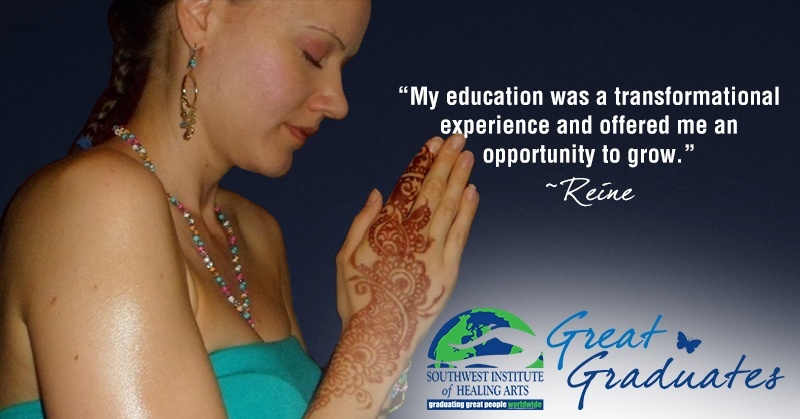 “I researched holistic schools online and found Southwest Institute of Healing Arts (SWIHA) and it just felt like a perfect fit for what I wanted to do and learn.” She went on to study Mind- Body Transformational Psychology specializing in Holistic Nutrition, Urban Farming, and Life Coaching.